Dentists have been treating certain conditions like bruxism (tooth grinding) and gummy smile for many years using the same active ingredient as in anti wrinkle injections. We have now extended our services to include the provision of anti wrinkle injections, dermal fillers and related treatments for an improved appearance and skin care of the face. And the benefits of having your cosmetic injections performed in the dental setting? As dentists, we are highly trained in the anatomy of the face and have detailed knowledge of the facial muscles. Dr Meredith Metin, Dr Darshan Brar and Dr Jeffrey Kestenberg have been certified by the Australasian Academy of Dento-facial Aesthetics (AADFA) to provide anti-wrinkle and dermal filler assessments, treatment planning and procedures. And we are highly trained and experienced in giving comfortable injections. 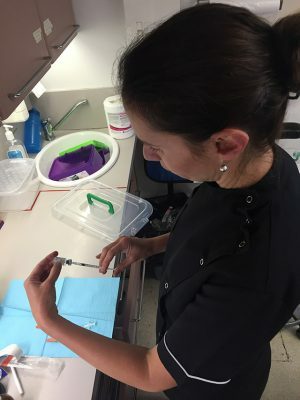 Because we are an accredited dental practice, our dental surgery enforces the strictest infection control protocols, which gives you the greatest amount of safety compared to treatment undertaken in other settings. Furthermore, dentists have a great aesthetic eye as we are used to dealing with cosmetic issues related to the teeth and smile. And a beautiful smile does not end with beautiful teeth. Our goal is to respect nature, aiming to make enhancements, not make you look fake or artificial. Anti wrinkle injections are used to soften facial lines, rejuvenating your face and thereby enhancing your smile. This can also be coupled with various skin treatments to further improve your complexion. Dermal fillers are used to enhance the definition and volume of your lips and fill out fine lines around the mouth, creating the best possible frame for your smile. They can also we used to create more volume and improve the contours of the skin. Make an appointment today so we can look after all your dental and facial needs – call Coburg Dental Group on 03 9386 1805 or make an appointment online.